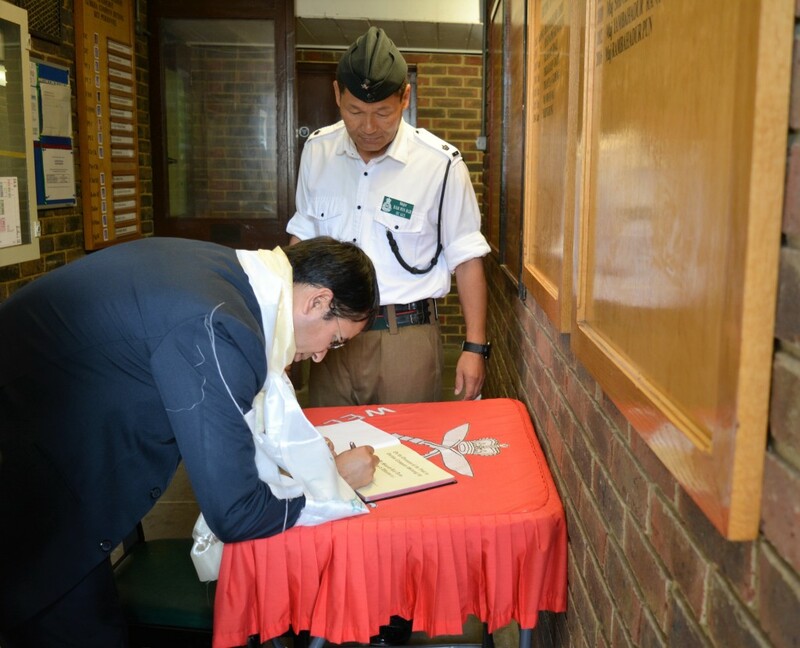 Mr Sharad Raj Aran who recently took over as the Chargé d’Affaires at the Nepalese Embassy in London paid a formal visit to HQ Brigade of Gurkhas on Fri 29 Jul 16. He was accompanied by his Attaché, Mr Tejendra Regmi. 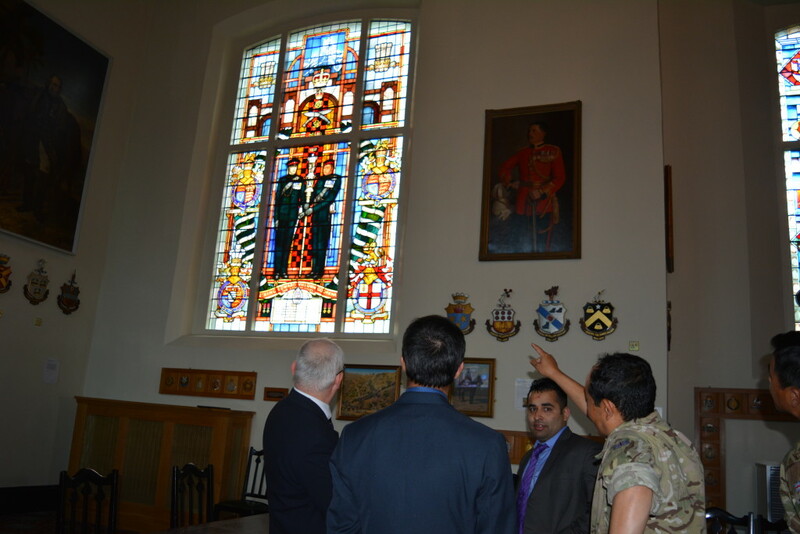 Colonel Brigade of Gurkhas, Col JG Robinson welcomed them at Robertson House on arrival and introduced them to staff within the Headquarters prior to their sitting down for a brief on the serving BG. DCOS, Maj Surya Rai GSPS delivered the BG brief which, among other things, included information on the units’ on-going commitments and growth. 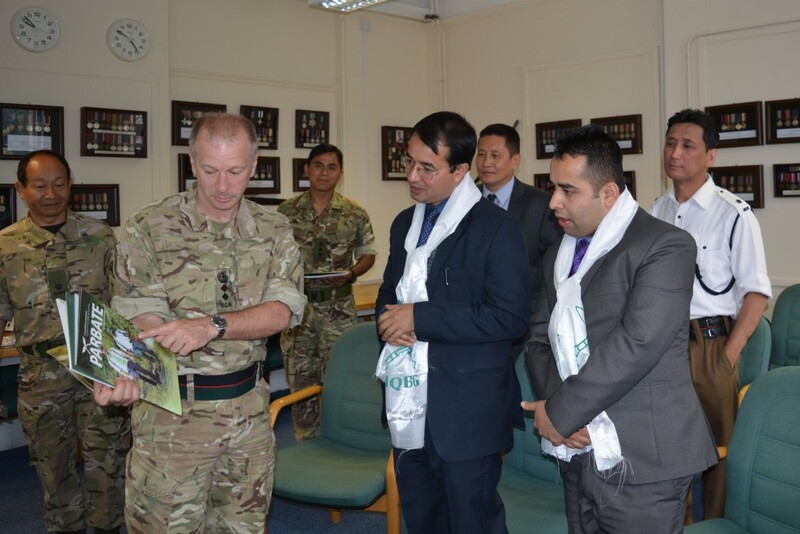 The programme of the day also included a visit to Gurkha Coy (Sittang). OC, Maj Rambahadur Pun RGR welcomed them on their arrival. 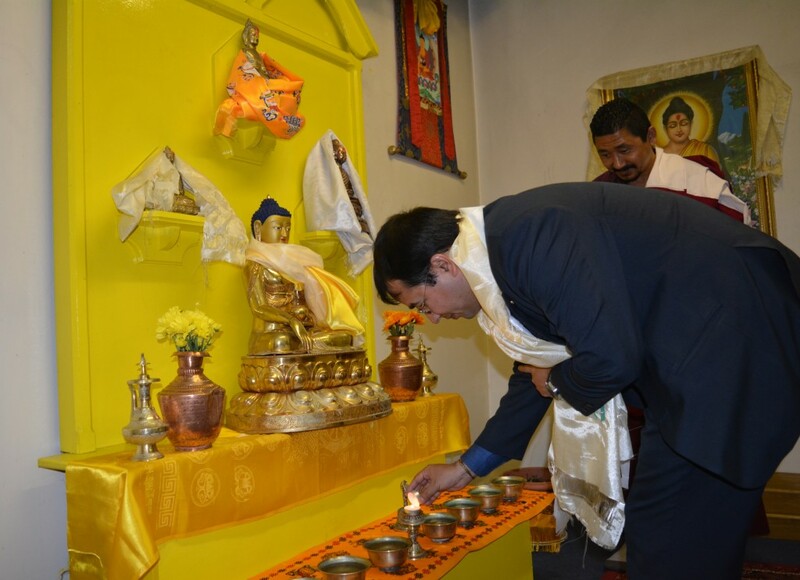 The guest first visited the Mandir where they met both Hindu and Buddhist religious leaders and attended the service conducted by them each. The OC’s brief on his Coy’s outputs followed next prior to the lunch which took place in the GC(S) bar. The tour of the Academy was the next serial in the programme and it was delivered by Dr Morton, Curator of the Sandhurst Collection. 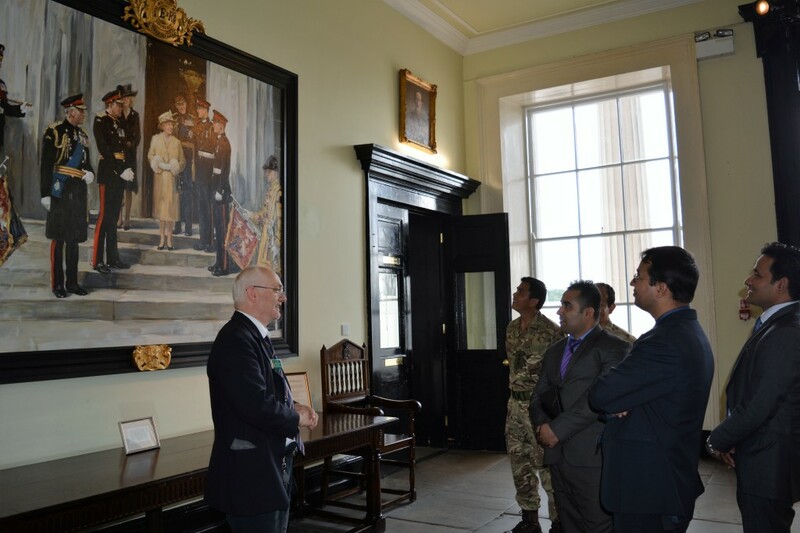 The guests were shown around the Prestige Rooms of Old College including the Indian Army Memorial Room and Le Merchant Room. The tour concluded with a visit to the Academy’s chapel. 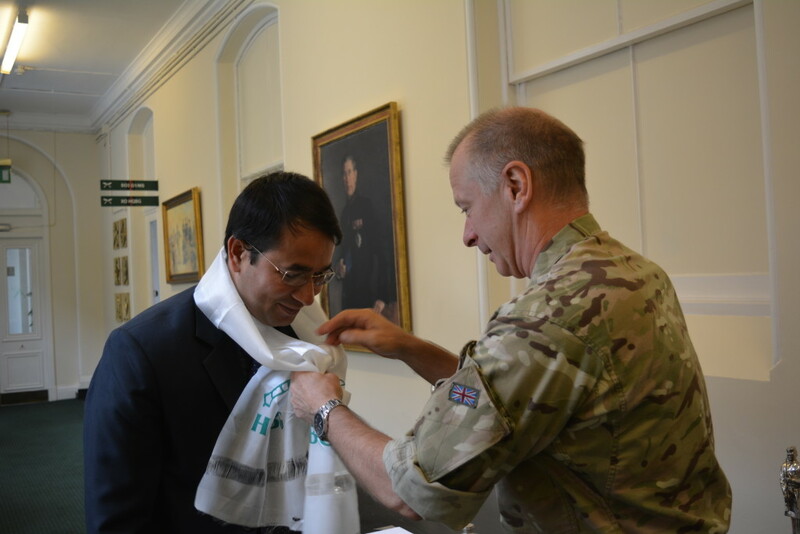 DCOS BG conducted a wash-up session at Sandhurst Hall over coffee prior to their departure for London. The day’s event which was led by DCOS BG, ran as smoothly as planned and needless to say, both Mr Aran and Mr Regmi enjoyed themselves immensely. 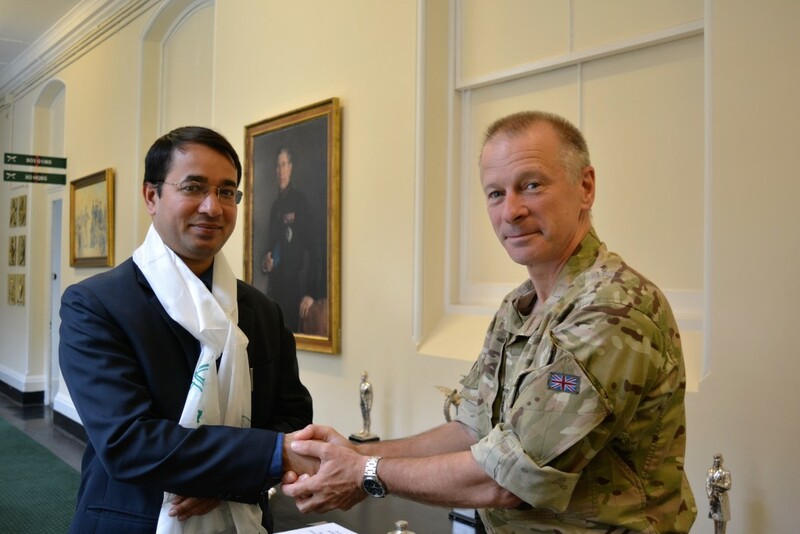 They left Sandhurst secure in the knowledge that the serving BG played an ambassadorial role and that it continued to maintain its link with Nepal by upholding cultural values and norms.